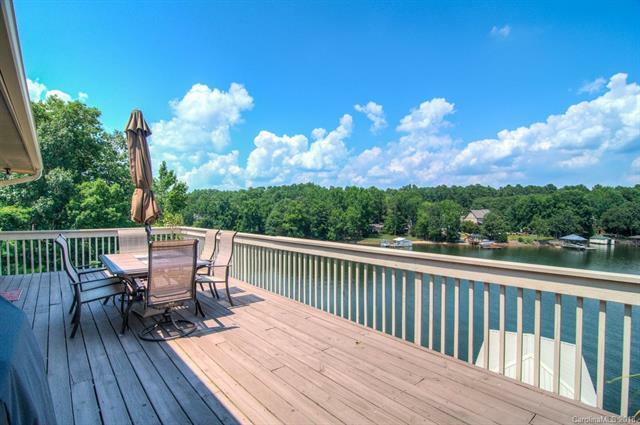 Opportunities to get a home in The Coves on Lake Wylie don’t come up all the time. In fact, in the last year, just 5 homes were sold in the neighborhood. Currently there are just two homes on the market with one of them already under contract. 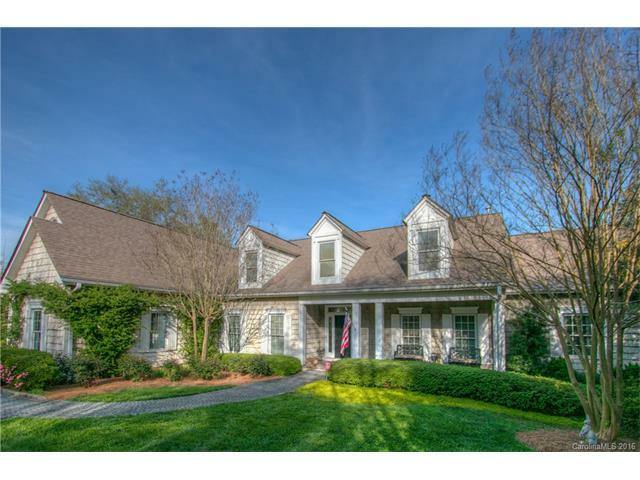 If you would like to live in this amazing area, give us a call at 803-831-8588 to schedule a private tour of 4556 Water Oak Drive. 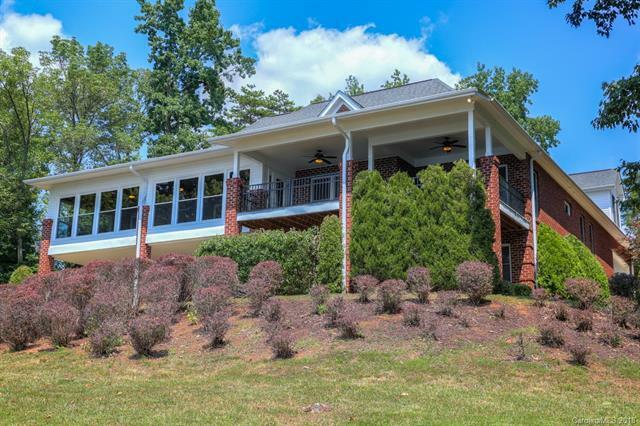 This custom home is located on an estate sized lot with just over one acre. This affords plenty of privacy and space for outdoor living. 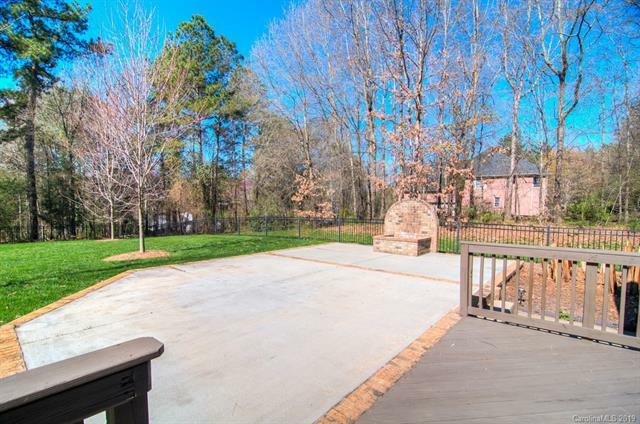 The backyard is so large it has a screened porch, decks, outdoor fireplace, and a huge irrigated green space perfect for pets, yard games or sports. 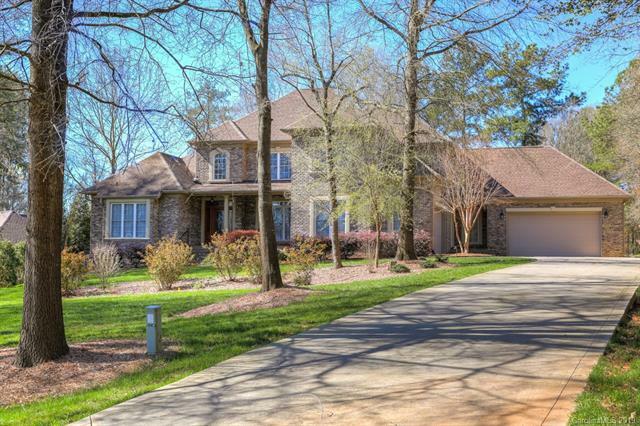 The location of this home is perfect, with Lake Wylie just across the street. You truly feel relaxed and peaceful in the small community. There are options for shopping and dining just five minutes away so you can be as connected as you want to be. A trip to Uptown Charlotte is a quick 35 minutes and Charlotte Douglas International Airport is just under half an hour. 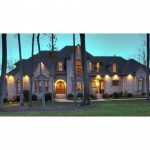 When you walk into this home, you will see the incredible attention to detail that is a hallmark of a true custom built home. You will enter to see soaring ceilings, gleaming hardwood floors and an open floor plan with abundant natural light. 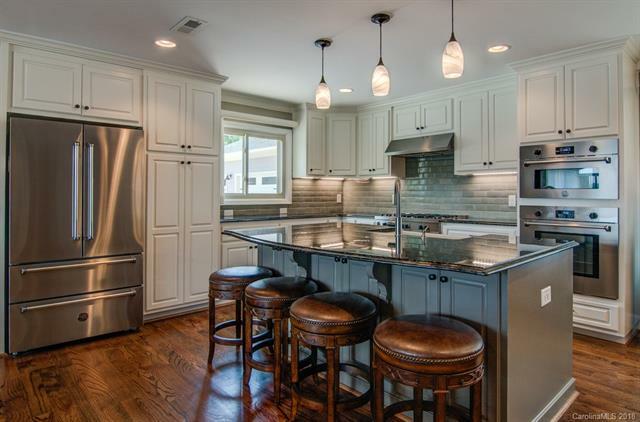 A large custom kitchen is perfect for entertaining or just a casual family meal. 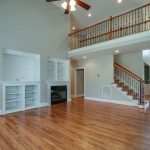 There are also 4 large bedrooms with master on the main floor, bonus space, 4 and a half bathrooms and two separate two car garages. 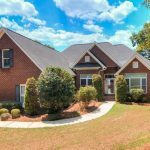 This home is zoned for desirable and award winning Clover schools and has lower South Carolina taxes. What’s not to love? Check out our full listing for this property here. 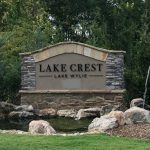 The yearly numbers are in for 2018 for the Lake Wylie/Steele Creek Real Estate Market. The Carolina Realtors Association compiles data from the Carolina Multiple Listing Services to get a portrait of the local real estate market and provide us with data to analyze for our readers interested in Real Estate. This is what they show. When you start digging into the numbers, for the entire Charlotte region sales were down 14% from December of 2017. Prices were up slightly, with the average sales price up 1.1% to $282,894. Inventory was down yet again from a 2.3 month supply to a 2.2 month supply, a decline of 550 homes. This leaves sellers again in the best position in real estate deals with a balanced market considered to be a 4-6 month supply of inventory. Pending sales were dead even and new listings were down 4.4% from this time last year. 1325 Homes were sold compared to around 2000 in 2017. Currently there were only 15 Homes priced under $300,000 in the entire 28273 area, most sell within 10 days of entering the market and the overwhelming majority of those were priced under $350,000. 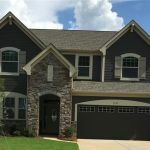 A similar pattern continues in the South Carolina Market, sales were down from 2017 from a high mark of 1300 to 1135 in 2018, the majority of those 848 were priced under $350,000. Current active inventory is 221 Homes. 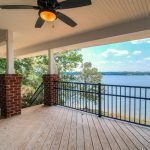 When you look just at Lake Wylie, South Carolina non waterfront resale Homes the story is a little bit different. Closed sales were indeed down year over year 15.3% from 98 to 83. Due to the small sample size, the percentages can look extreme so please keep that in mind. Average price was up year over year to $409,539, an increase of 16.2%. Inventory was dead even from last year in terms of months of supply at 3.3, but remember about that extreme note from earlier, there were actually 26 more homes on the market. 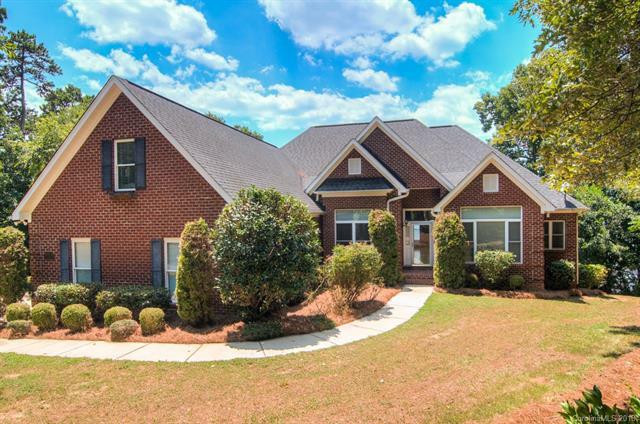 This means that sellers are still in a slightly better position in the Lake Wylie area. New listings are on the rise in the area with many new construction projects helping to boost the supply. The new listings were up 23.9% from 67 to 83. Pending listings were down year over year from 75 to 62, down 17.3%. Homes spent longer on the market in 2018 with days on market up 102% from 51 to 103, but this probably reflects new construction homes which typically stay on the market substantially longer than existing Homes. 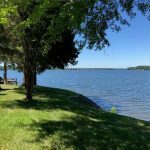 Median prices continue to rise in the waterfront market due to low inventory and high demand, as of this writing there were just 91 active listings in both Carolinas down from the 120 to 140 we experienced over the last decade with a median asking price of $839,000 which is over $100,000 more than last year with only 5 priced below $600,000. The 1 Million plus market was very active with 11 Million Dollar plus Homes closed in 2018 and currently 14 are on the market, both numbers are about the same as 2017. A total of about 120 legitimately waterfront Homes sold down from about 160 from the year before due to a shortage in inventory with a median price pushing close to $725,000 up from the low $600,000’s a number that stayed steady for some time. 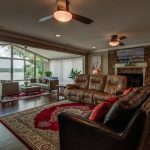 In this unusual Housing market it is still important to discuss Home staging, photography, drone shots, brochures, marketing, Web presence and most of all pricing strategy. Here are a few other tips to guide the process. 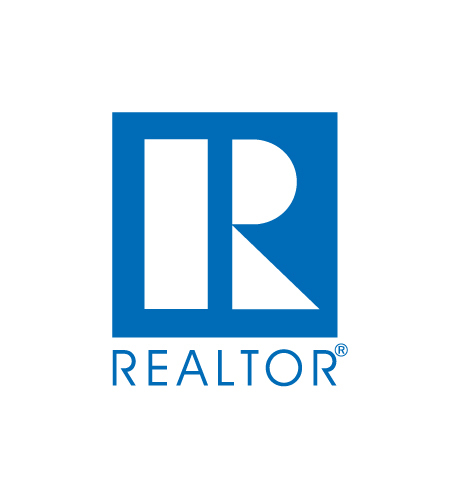 The Real Estate transaction is a complicated and emotional process. Contracts and addendums are extensive sometimes reaching 20 to 30 pages. Make sure you review all the documents prior to listing or purchasing a property, that way there will be no surprises when time comes to make an offer or negotiate an offer.. Understand the hard deadlines for Loans to be approved, Inspections to take place and negotiations on any repairs, speaking of repairs this is the biggest deal killer of them all as Inspectors are paid to find out everything that is not perfect with the Property, that offends most all Sellers. The best tip of all is always hire an experienced professional Agent not a friend of a friend that just got Licensed or the former Barber or Hair Stylist. Transactional experience is key to a successful and Happy Purchase or Sale. David lives on Lake Wylie and is the Principle Broker of Lake Wylie Realty. David has been a Licensed Broker for 40 Years. Just listed, a cute cabin in a prime location adjacent to the Palisades. 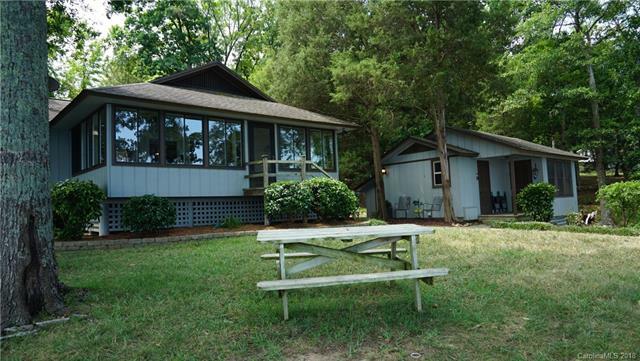 Don’t miss this opportunity to own 16250 Cozy Cove Road at a great price with year round amazing access to and views of Lake Wylie. 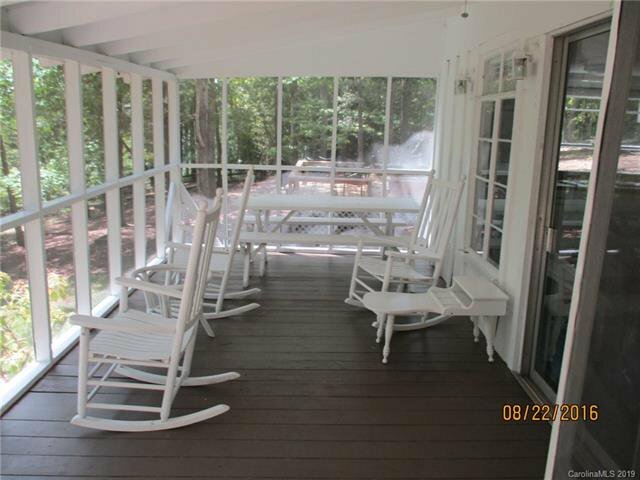 This rustic retreat has a great screened porch and decks perfect for lounging and taking advantage of the views. 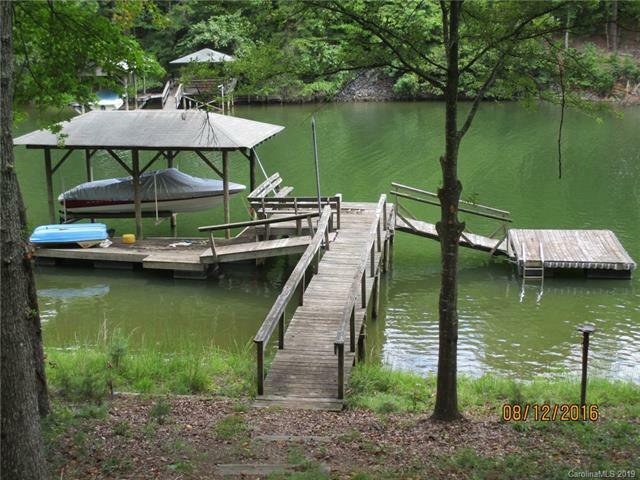 Enjoy just over an acre of property with over 185 feet of waterfront. This home is perfect for escaping the city for the weekend. 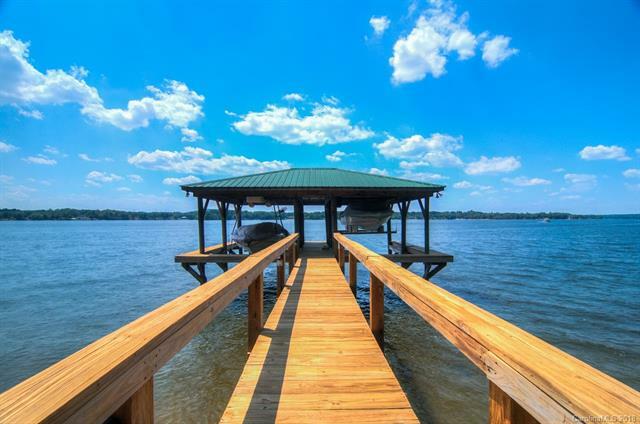 Relax on the floating dock or take your boat out to enjoy time on the water. Current list price is only $489,000. The current home has 860 square feet of living space built in 1967. There are three bedrooms and one full bathroom. The kitchen, dining, and living room are open concept. Owners have access to the Palisades Country Club even though there is no HOA. The home is being sold as-is. This could be a perfect weekend spot. If you are more adventurous, you could remove the current home and custom build your dream home in its place. 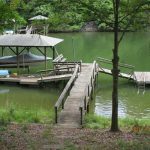 The home has exiting well and septic systems, but no representation on their condition. The current Utility Department tap fee is $7,500 if you wish to bypass the old systems and modernize the property. With the main value being the land, a new structure could take great advantage of the views. 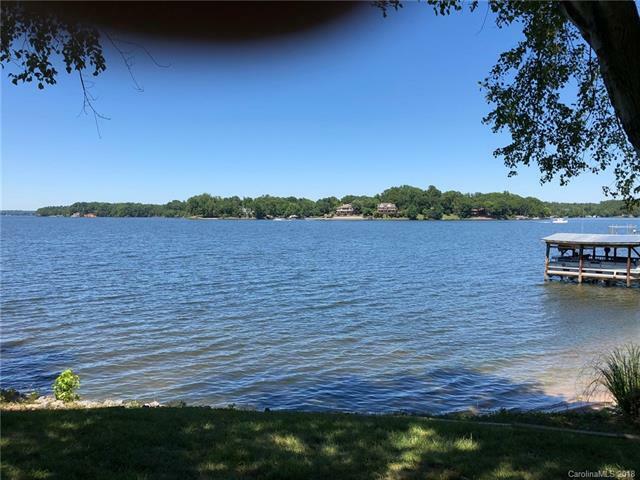 For more information on this home or other waterfront properties in Lake Wylie, take a look at our website, or call 803-831-8588. 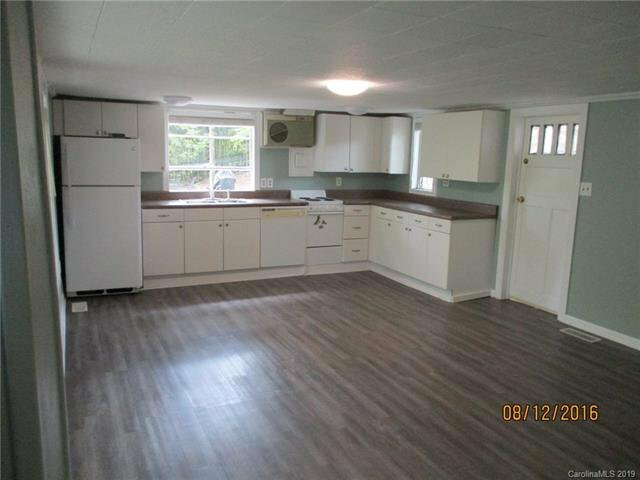 To view the listing for 16250 Cozy Cove Road, click here. 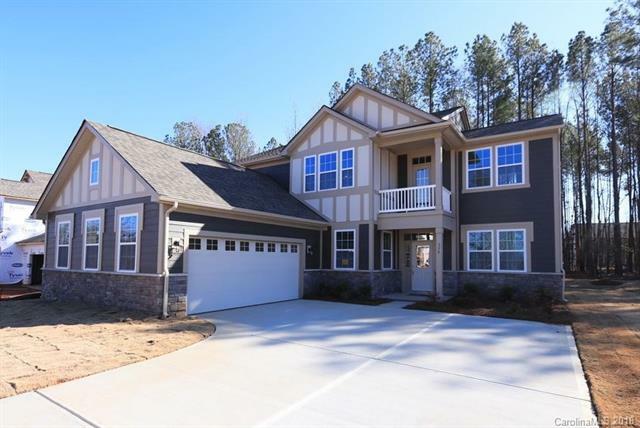 Home builder Mattamy Homes is currently building another great project nestled on the banks of Lake Wylie. These homes back to wooded green space and there are some basement lots available. Amenities serve the community as well as country clubs, parks, and the lake. There are great school assignments and a Clover, SC address. Located just across the Buster Boyd Bridge, and across the street from D.R. Horton’s new community of Cypress Point. 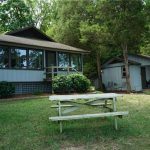 This spot is great for access to the lake as well as a quick Uptown commute up Highway 49/Tryon Street. There are many options nearby for outdoor recreation, golfing, shopping, dining, and much more. Nearby highway access will connect you with all parts of the city. 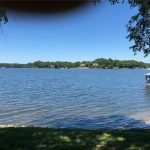 Homes in this desirable neighborhood start in the upper $200’s so are a great affordable place to get lake living. Homes have between 3 and 6 bedrooms, 2.5-3.5 bathrooms and 2,205 to over 3,000 square feet of living space. There are six plans to choose from with many different options for upgrades to make the homes your own. They range from one story ranch style homes to two story to one and a half story homes. 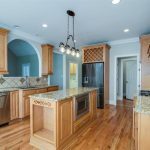 Amazing details are found throughout the homes from craftsman style porches to shingle siding to chef’s kitchens and home offices with built in cabinetry. Lots are small and easily manageable, perfect for busy families or downsizing. A community pool and cabana, hiking trails, and ponds round out the community. There is also a public boat and kayak launch a short drive away. 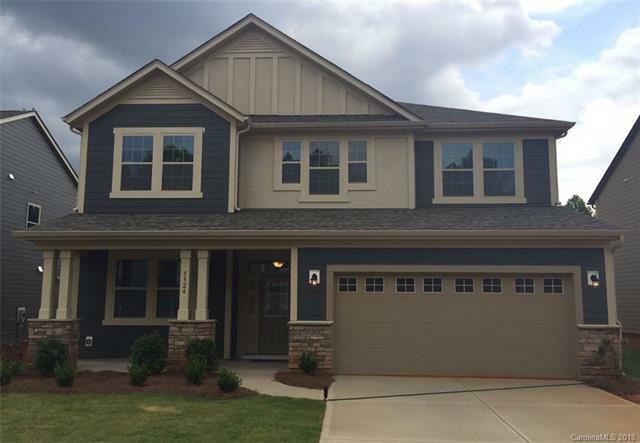 Homes in Lake Crest are zoned for nearby award winning Clover schools. 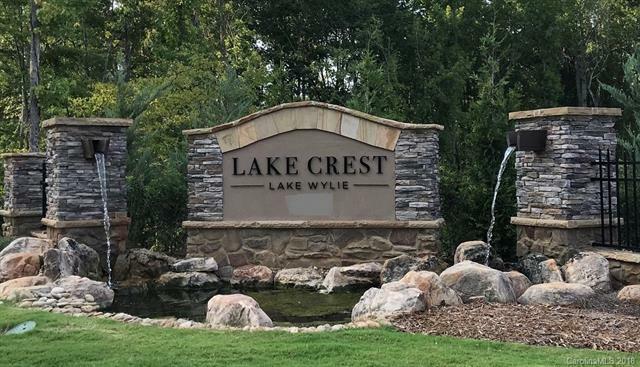 If you would like to schedule a private tour of Lake Crest or any other Lake Wylie neighborhood, give us a call at 803-831-8588. You can also view current listings on our website here. 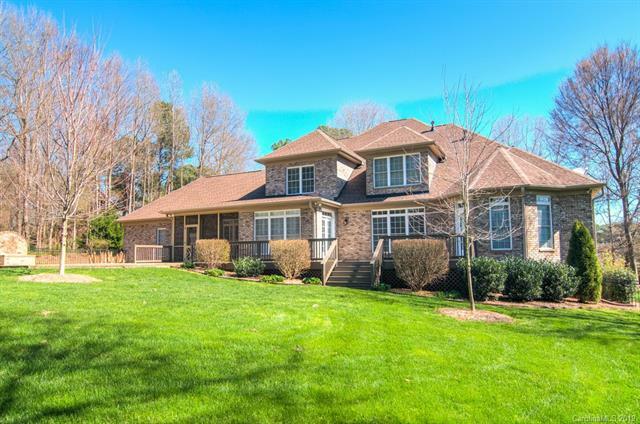 Cooks Cove is a beautiful enclave of gated luxury homes on the shores of Lake Wylie. These homes are a true escape from the busy pace of life. 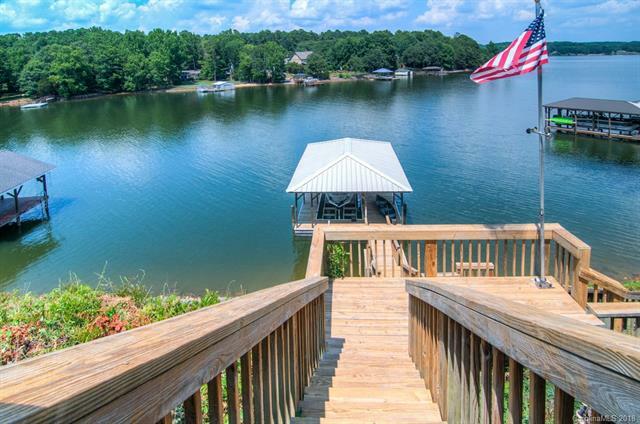 Enjoy lake living at its finest in one of these homes that rarely come on the market. This great location has everything you need along with great schools and is truly an oasis. The neighborhood is located on the shores of Lake Wylie off of Lake Wylie Road. Residents can get quickly to Highway 49 to connect with I-485 and I-77. This will easily get you to Uptown Charlotte and Charlotte Douglas International Airport. There are also nearby options for shopping, dining, and entertainment. With custom homes built in the early 2000’s, Cooks Cove has every feature you would expect in a modern luxury home. Some of the homes feature salt-water pools, home theaters, libraries, wine cellars, sports courts, 4 or more car garages and much more. Homes typically have around 4,000 to 8,000+ square feet of heated living space. Most of these homes have at least 4 bedrooms and 4-6 bathrooms. 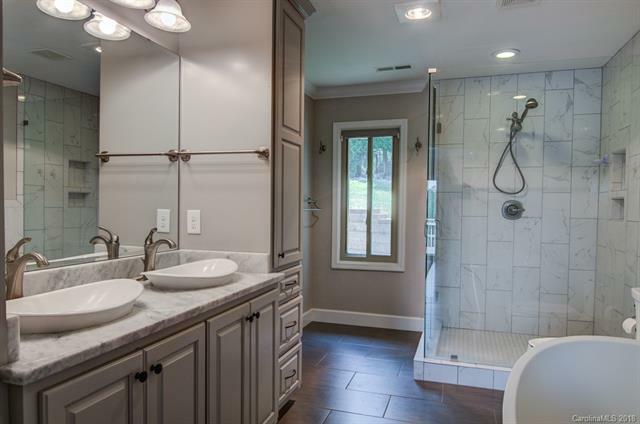 Expect master suites with spa like bathrooms and custom closets. Many of the homes have fully finished basements adding valuable space for living and entertaining. The waterfront homes have docks, boathouses, and/or floating docks. 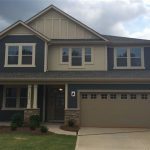 Many of the homes have extensive outdoor living spaces including outdoor kitchens, decks, paver patios, screened porches and more. 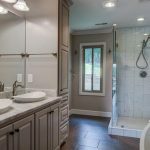 Homes have custom cabinetry, high ceilings with trey and coffered details, tankless hot water heaters, central vacuum systems just to name a few. Children in Cooks Cove currently attend Crowders Creek Elementary School, Oakridge Middle School, and Clover High School. These schools are top in the area which makes Cooks Cove even more desirable. Please verify school assignments as they can change from one school year to the next. 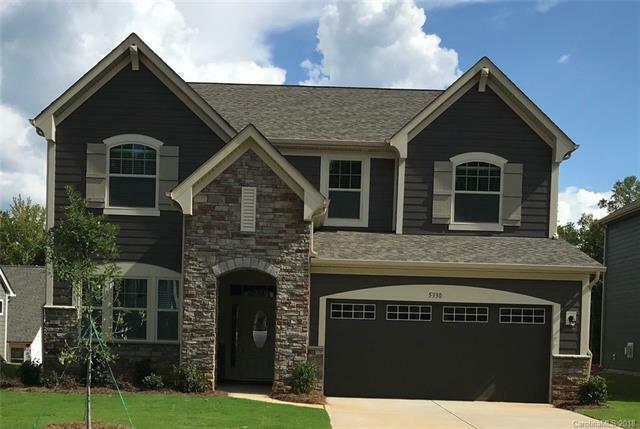 Come and visit Pierpointe, a remarkable enclave of custom homes on the main channel of Lake Wylie. 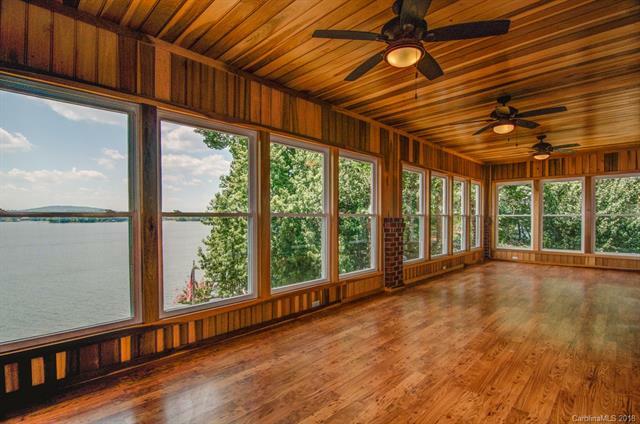 These homes have stunning views both inside and outside and epitomize the lakeside lifestyle. Add close proximity to major employers, an international airport, and Uptown Charlotte and this location is perfect. You approach Pierpointe from Pine Harbor Road at Shopton Road. This means that Rivergate is just minutes away providing most of the necessities. There are shops, restaurants, and grocery stores in Rivergate. Residents can quickly get to I-77 or I-485 to connect with Charlotte Douglas International Airport and Uptown Charlotte. Homes in Pierpointe are grand in scale and full of unique features. Many of the homes have two-story plans and some have fully finished basements as well. Some of the homes have extensive formal gardens, some have guest houses, some have media rooms, there are surprises in each home. Most homes have over 4,000 square feet of living spaces with between 3 and 6 bedrooms and 3.5-4.5 bathrooms. The waterfront homes in Pierpointe have truly stunning views of the lake. 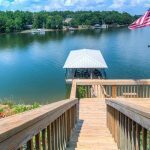 Homes take full advantage of the views with terraces, sunrooms, decks, boat houses with lifts, floating docks and lakeside seating areas. Some homes even have pools that overlook the water. All have outdoor living spaces and lush landscaping making a true retreat. 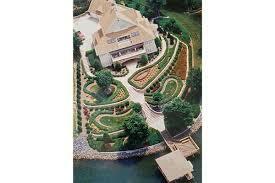 The lots are large, most are at least half of an acre with many over an acre, providing privacy. These homes don’t come on the market very often, in fact in the past year only two homes came up for sale. Prices range from the $700,000’s to over $1 million. Children in Pierpointe currently attend Winget Park Elementary School, Southwest Middle School, and Olympic High School. Please verify school assignments as they can change from one school year to the next. 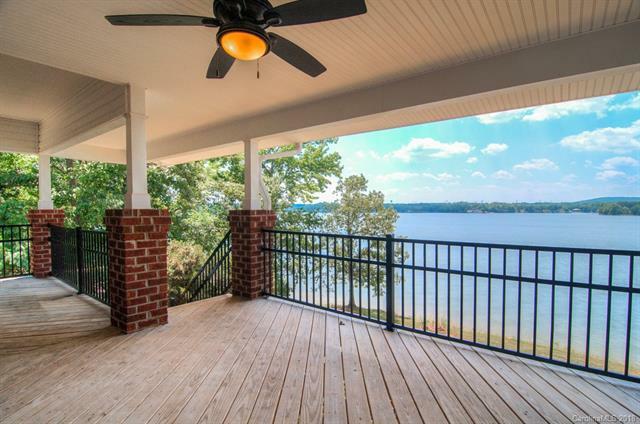 If you are looking for the best views on Lake Wylie in a newly remodeled space, you have to see 7032 Brookview Drive. This home has it all, amazing space upstairs, additional bedrooms and living space downstairs, a deck with million dollar views, covered patio, boathouse and more all in a great walkable location. The home was originally built in 1977, but just underwent a major renovation. This includes a new three car garage, large enough to store cars, boats, and more. As you enter the property, the house is partially hidden behind a rise. As you approach you will see the new garage and paver patio and retaining wall. As you enter the home, you will be amazed by the open floor plan and view all the way through and out the huge sunroom. This spacious feeling continues as you walk through the well appointed chef’s kitchen. 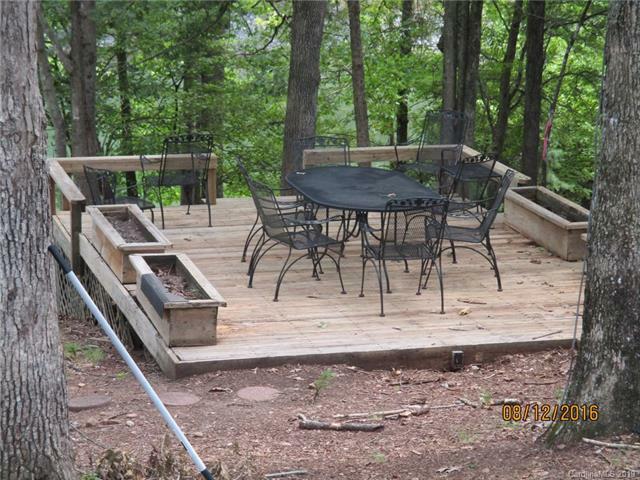 There is a full dining room, or you can eat al fresco on the deck overlooking the water. The main floor also contains the master bedroom and bathroom as well as a half-bath. 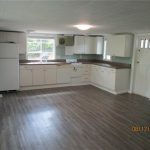 Walk downstairs and you will find an additional living room, two bedrooms and another full bathroom. All of the bathrooms have been fully remodeled. With 3,220 square feet of living space and 3 bedrooms and 2.5 bathrooms, this homes is a great value at the current list price of $899,000. You can access the lake from the walk-out basement or from the upstairs deck. You can walk all the way down to the covered dock with boat lift. 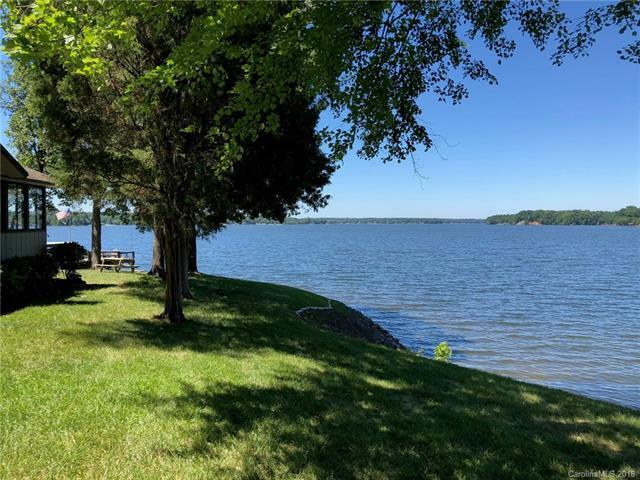 With just under an acre, you will have plenty of room to enjoy everything the lake has to offer and have room for all of your guests. Children in the neighborhood currently attend Oakridge Elementary School, Oakridge Middle School, and Clover High School. Please verify school assignments as they can change from one school year to the next and boundaries can sometimes cut through neighborhoods. The location of this home really has few rivals. Lake Wylie YMCA and T-Bones on the Lake are within walking distance as are many other local businesses. York Road (highway 49) is just down the road making it easy to connect with I-77 and I-485. Rivergate is just down the road for additional shopping needs. Carowinds Amusement Park, Charlotte Douglas International Airport, and Uptown Charlotte are just short trips away. Closer to home you’ll find McDowell Nature Preserve and Daniel Stowe Botanical Gardens. Don’t miss your chance to own this stunning home. Located right at the end of Cozy Cove road just past the Palisades you’ll find a truly spectacular home at 16201 Cozy Cove Road. 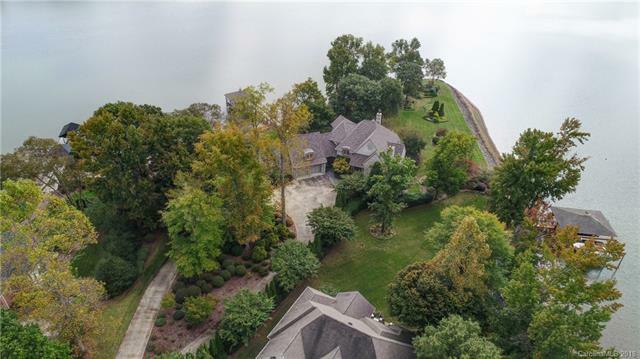 Though not part of the Palisades, this home has an even more impressive view of beautiful Lake Wylie. As you approach the home you see the all brick facade with side-load two-car garage. 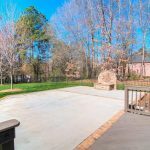 The lot is just over one acre so there is privacy from neighbors as well as room for lots of outdoor living. Relax on your beautiful sandy beach or take your boat out from one of the two covered boat lifts at the end of the pier. 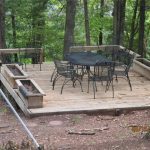 Relax and swim in the water from the floating dock, or just enjoy the view from the covered deck. Inside this home rivals the outside. 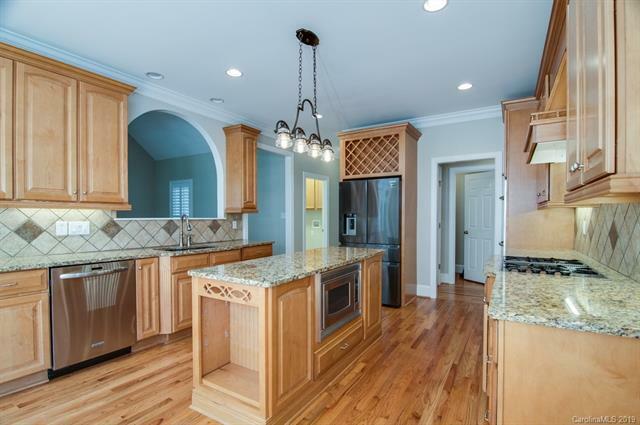 Enter through the front door and you will see high ceilings, columns, hardwood floors, and crown moulding. Explore through the 4,856 square feet and you will find 4 bedrooms and 4 full bathrooms. The master bedroom is on the main floor as are two of the additional bedrooms. 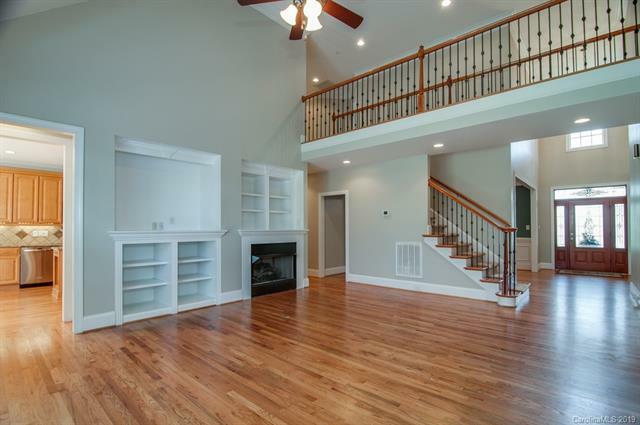 You will also see the grand kitchen, dining room, great room and light filled sunroom. 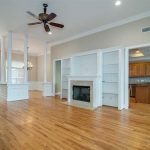 Downstairs you will find a fully finished walk out basement with a full second living quarters, billiard room, and bar. You will also find the 4th bedroom and bathroom. 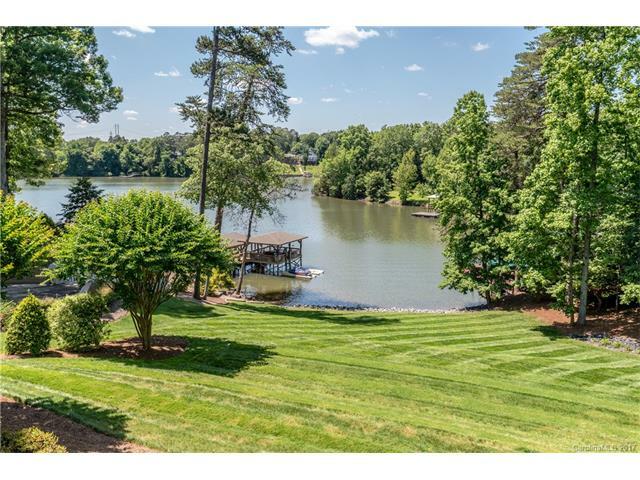 Walk out to take advantage of the views of Lake Wylie’s main channel. The 20 miles to Uptown Charlotte will take you right around a half-hour if you want to see a sporting event, museum, concert, night out, or commute. Charlotte Douglas International Airport is 18 miles away and will also take right around a half-hour. Shopping, dining, entertainment and more are close-by at Rivergate. Just a little bit further away you will have more options at I-485 or I-77, both of which are close by. This close highway access is great for feeling connected to the city when you are relaxing with your lakeside living. 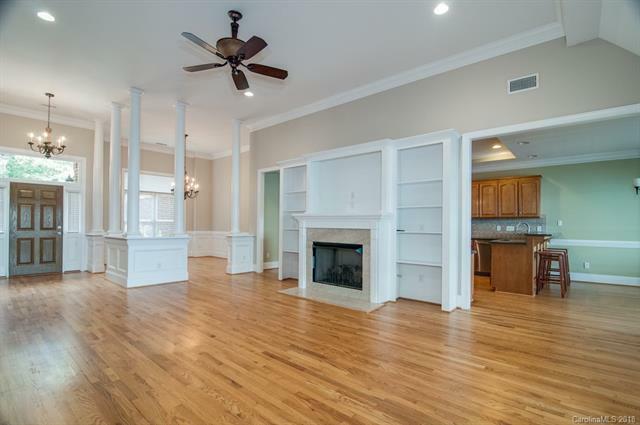 This home was made for entertaining and is move-in ready. Currently priced at $1,199,000, this home won’t last long. For more information, see our full listing here. 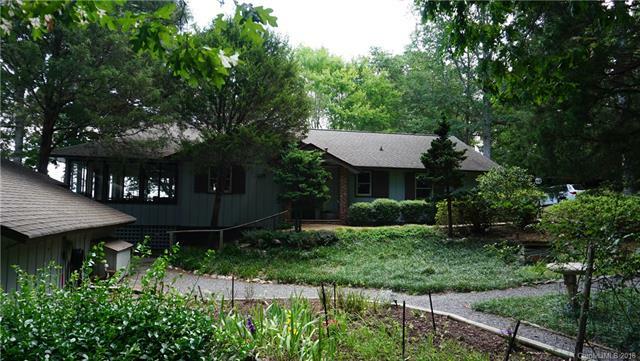 Located on a fully wooded lot facing the main channel of Lake Wylie, you’ll find Cedar Lodge. 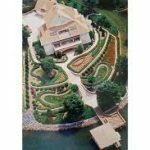 This unique home sits on possibly the best property on the Lake. There are breathtaking views from all over the property but especially from the glassed-in porch. When you approach the property, you will see over 300 feet of road frontage. This gives plenty of privacy from neighbors making Cedar Lodge feel like a retreat. There are 1.9 acres of property included as well as the main house, adjacent bunk house and a large garage workshop. 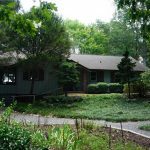 The main home is a 1,566 square foot home with 2 bedrooms and one bathroom built in 1975. 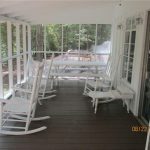 It includes the glassed-in porch which measures 26’ x 16’. 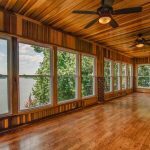 This room is truly what makes this home spectacular as you can enjoy living on the water all year round from up here. This lake house is truly a classic. Next to the main house is a second living quarters in the form of a bunk house which has one bedroom and one bathroom. This is a great place for guests, or for the kids to stay and have separate space from parents. For the maker in your family, there is a large garage workshop that measures 24’ by 30’. This space is perfect for all of your projects, or just for storage space for a great car. 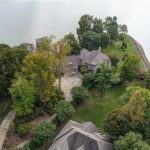 The best part of the home however, is the over 400 feet of lake frontage. 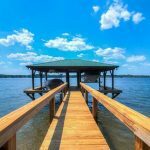 This includes a pier and boat lift as well as two private sandy beaches. The views are incredible so this property is a must see. 5350 Blue Bird Lane is on the South Carolina side of the lake which comes with lower South Carolina Taxes. Current listing price is $685,900. Lake Ridge at Pinsto Forest is the premier location in Pinsto Forest. 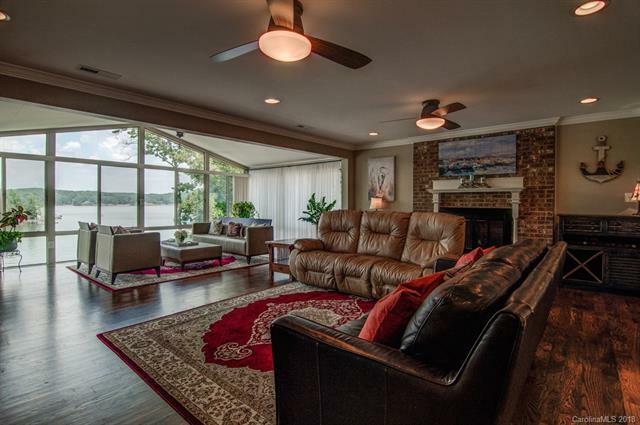 This grouping of 40 homes have waterfront and views of the main channel of Lake Wylie. These homes are in Belmont School District so have award winning schools. 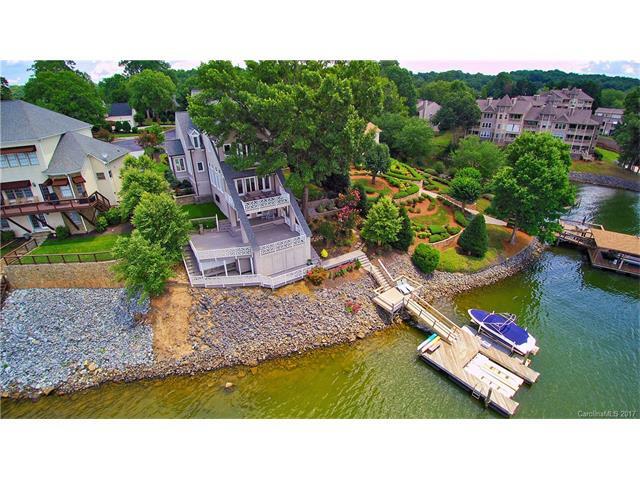 Some of the homes have private marina access to enjoy all the beauty of Lake Wylie from the water. 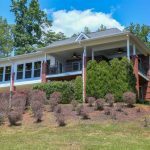 Located off South Point Road at Stowe Road, Lake Ridge at Pinsto Forest is tucked away from everything lending privacy and escape. Many options for shopping, dining, and entertainment are close by if you can tear yourself away from the Lake. A quick trip will take residents to Charlotte Douglas International Airport, Uptown Charlotte, Downtown Belmont and many more destinations. 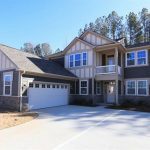 Homes in Lake Ridge at Pinsto Forest are grand ranging from over 3,000 square feet to over 4,000 square feet of living space. These homes include luxury features such as libraries, sunrooms, decks, stonework patios, verandas, pools, and wine cellars. In the past year, homes in Lake Ridge at Pinsto Forest sold for between $430,000 and $1,350,000. Homes have between 4 and 6 bedrooms and 3.5 and 4.5 bathrooms. Lots are range from just over half of an acre to 1.25 acres. These homes were built between 1996 and 1998 so many of them have been remodeled and updated since they were built. This only makes these amazing homes more desirable. Most of the homes have the master suite on the main floor. 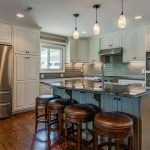 Gourmet kitchens and open floor plans are common in these homes as are home offices, fully finished basements and much more. Children in Lake Ridge at Pinsto Forest currently attend Belmont Central Elementary School, Belmont Middle School, and South Point High School. Please verify school assignments as boundaries can change from one school year to the next.